Nettleship, D.n.. "Puffin". The Canadian Encyclopedia, 04 March 2015, Historica Canada. https://www.thecanadianencyclopedia.ca/en/article/puffin. Accessed 24 April 2019. Puffin is a common name for 3 species of medium-sized seabirds of the Auk family. This marine bird chases its prey (small fish) underwater by using its small wings for propulsion (photo by Tim Fitzharris). 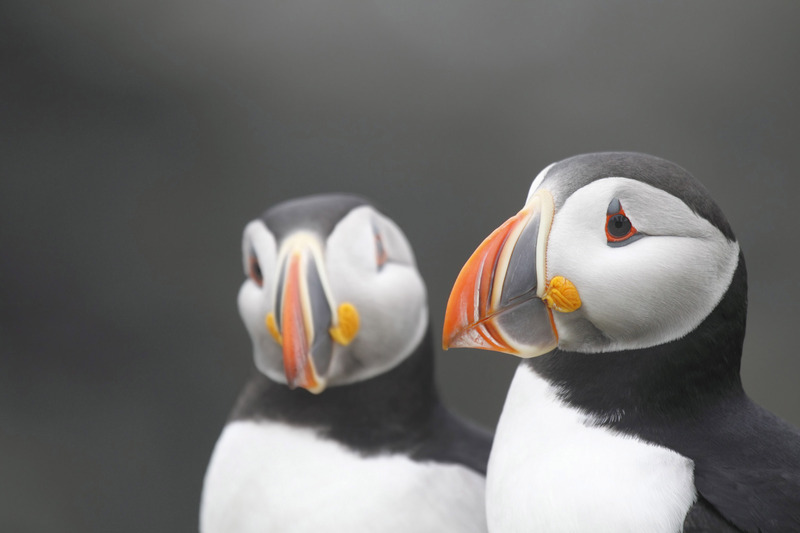 Puffin is a common name for 3 species of medium-sized seabirds of the Auk family. Most commonly, the name refers to the Atlantic puffin (Fratercula arctica), about 26-36 cm long, 460 g, with a wing span of 47-63 cm and a distinctive triangular bill, red with a bluish grey base. Image: The Canadian Press/photographer Megan Lorenz /Rex Features. 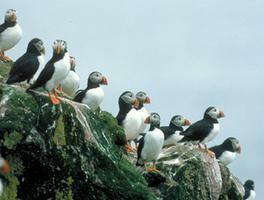 Atlantic puffins breed along both coasts and on many islands of the North Atlantic. 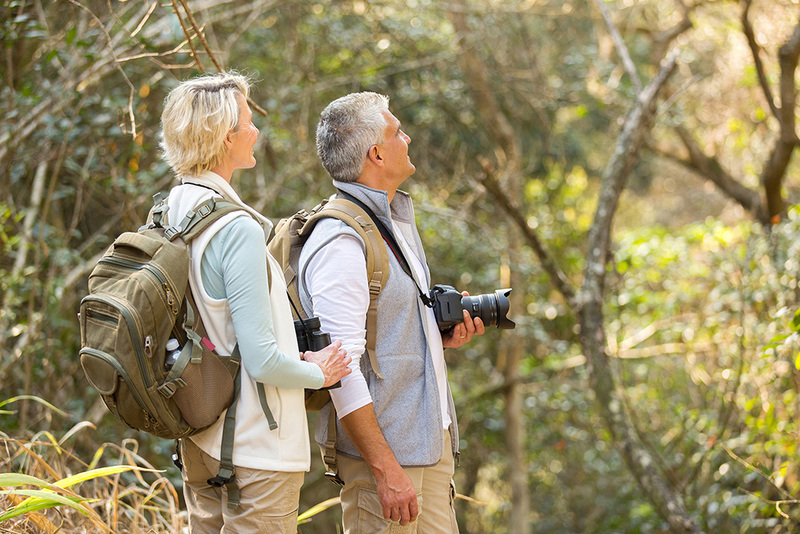 Their North American breeding range centres on the Newfoundland and Labrador coasts. Horned (F. corniculata) and tufted puffins (F. cirrhata) occur in the Bering Sea and the north Pacific Ocean. Both breed in coastal colonies from eastern Siberia and northwestern Alaska south to the Aleutian Islands and BC. Tufted puffins also breed in BC, Washington, Oregon and California. Both adults and immatures winter offshore, but where they spend the 7-8 months before returning to the colony is poorly known. Puffins are highly colonial in breeding season, usually nesting in burrows in grassy slopes or flattish ground, sometimes in rock crevices and boulder skree. They first breed when 4-5 years old, a pair normally remaining together for their entire breeding life. The single, white egg is incubated by both parents for about 42 days. The chick is fed small fish for 6-7 weeks. 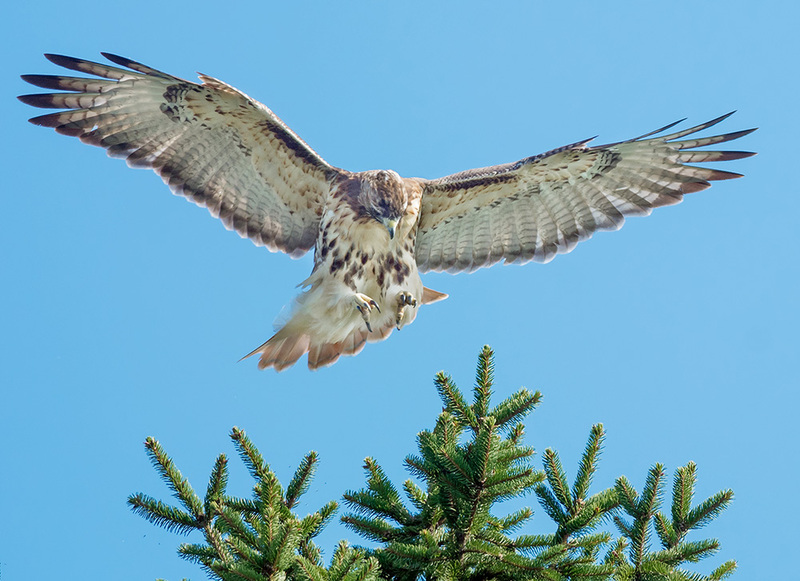 The North American breeding population is estimated at about 365 000 pairs; almost 62% nest on 4 islands in Witless Bay, southeastern Newfoundland. 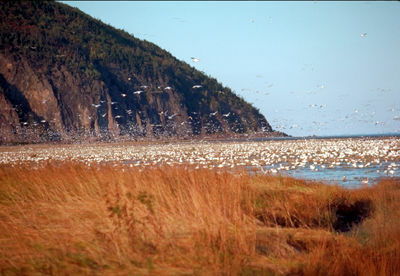 Populations in the Gulf of St Lawrence-New England states area and in the northeastern Atlantic have declined considerably since 1900, probably because of human persecution, variation in food availability and oil pollution. Atlantic PuffinHinterland Who's Who profile of the Atlantic Puffin.